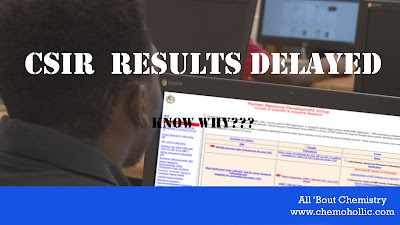 CSIR Results Delayed- Know WHY ?? We were getting frequent messages, mails, comments from our readers. All were asking just one question, "when will this CSIR Result will publish ?". 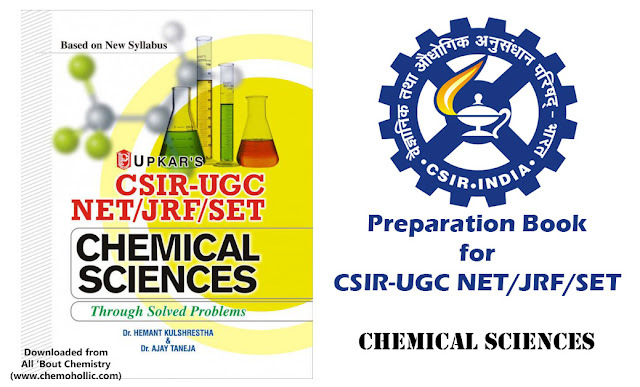 We as per our past experience and pattern of CSIR Exams and Form Filling, just predicted it to be published in the month of October. But now it is last week of October and there is no sign of result still on the CSIR HRDG website. 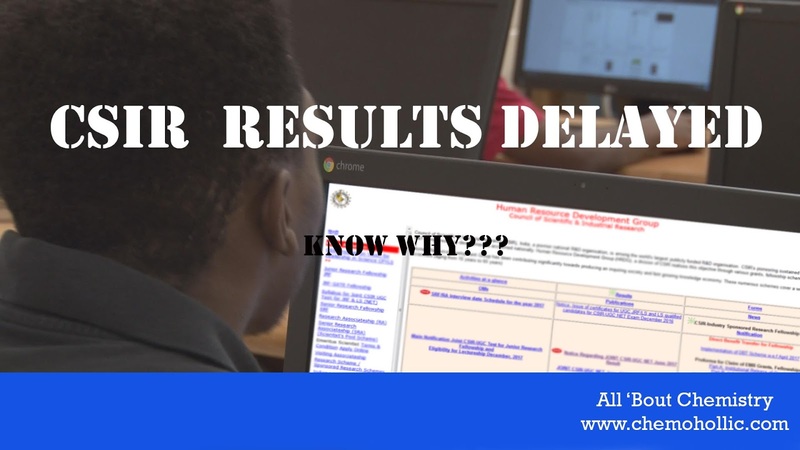 The question still remained unanswered that why results are delayed? 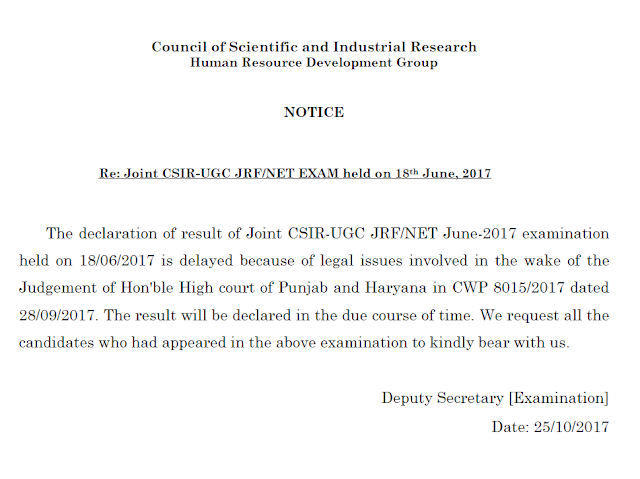 Today on 25th October The Deputy Secretary of Examination has published a Notice on CSIR official website in which he has answered the above question and asked us to bear with them. 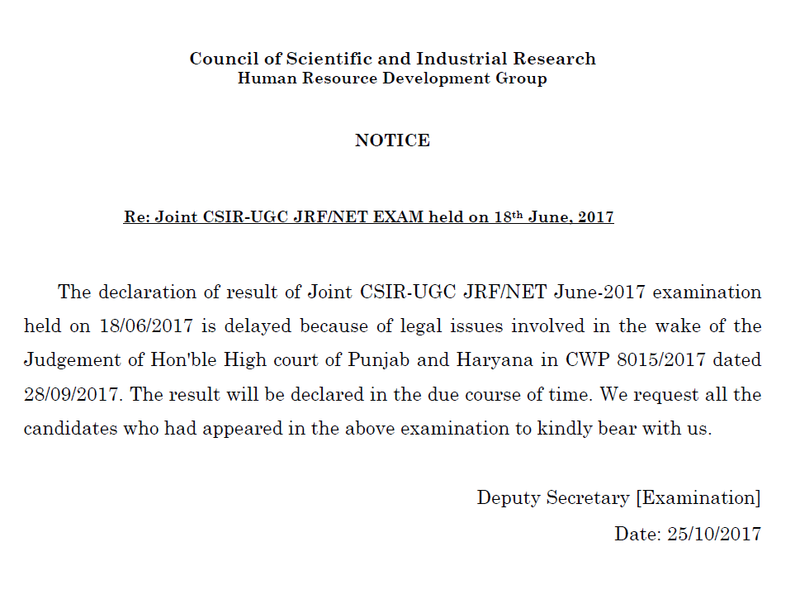 "The declaration of result of Joint CSIR-UGC JRF/NET June-2017 examination held on 18/06/2017 is delayed because of legal issues involved in the wake of the Judgement of Hon'ble High court of Punjab and Haryana in CWP 8015/2017 dated 28/09/2017." "The result will be declared in the due course of time. We request all the candidates who had appeared in the above examination to kindly bear with us." There are few questions which come across our minds that Why can’t India’s most prominent scientific organization solve this persistent problem of Delayed Results. Have a prior Result declaration Date: GATE has it, then why can’t CSIR ? If we have a prior result declaration date then certainly students can plan their career better. What are your views ? Comment below and let us know what you think about this.